On behalf of the Ministry of Health and Family Welfare Directorate General of Health Services and Directorate General of Family Planning, the Bangladesh Communication Working Group invites you to attend a three-day workshop on Aligning Partners and Designing an Action Plan for the Development of a National Communication Implementation Framework for Health, Population and Nutrition. The honorable Health Advisor Professor Dr Syed Modasser Ali will grace the occasion as the Chief Guest. Mr. Md. Humayun Kabir, Senior Secretary, MOHFW will be present as the Special Guest. This is the first of a series of workshops that will help align health, population and nutrition (HPN) social and behavior change communication across Bangladesh’s Ministry of Health and Family Welfare Directorates and development and NGO partners. 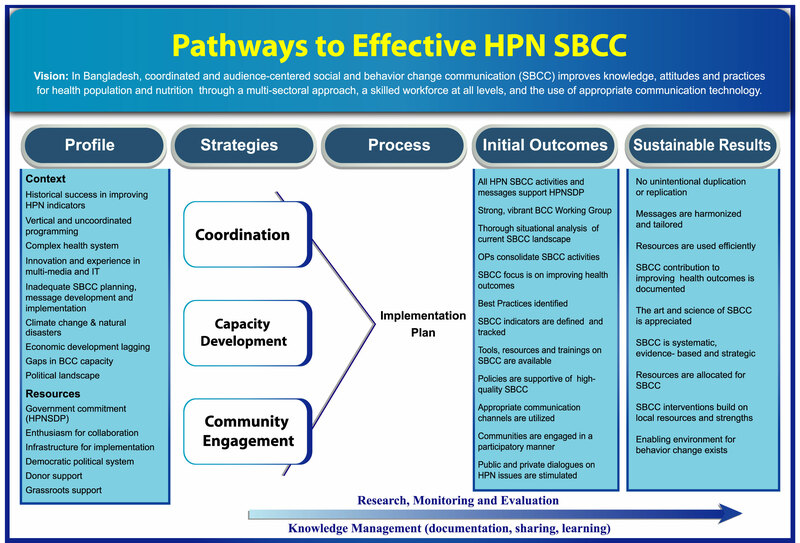 The workshop series will facilitate development of a national implementation framework that coordinates HPN communication activities in support of the Health, Population and Nutrition Sector Development Programme (HPNSDP) 2011-2016.